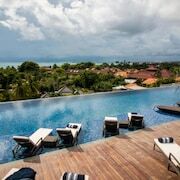 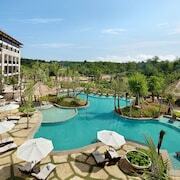 Close to airport and Jimbaran beach at a 15 minute walk. 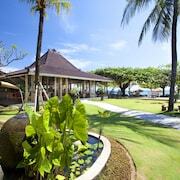 Location is good, just 15 minutes walking to the Jimbaran beach which is very long and sunset is a must. 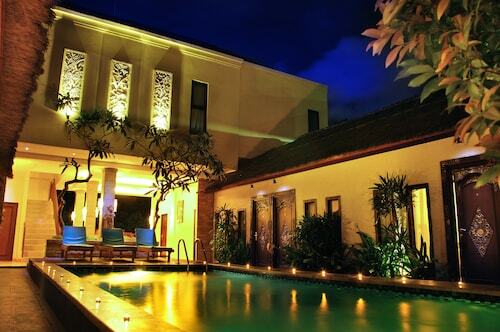 Hotel is located in the less busy part of Jimbaran. 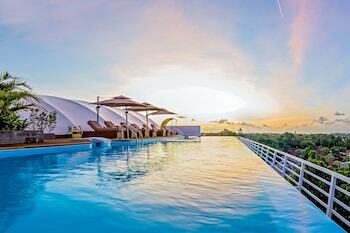 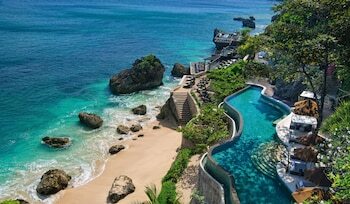 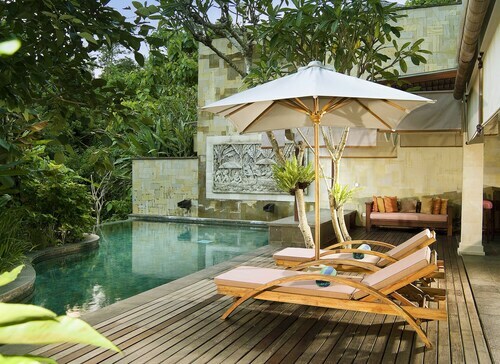 Very intimate resort, away from the hustle of the main areas of Bali but still close to the airport. 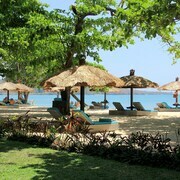 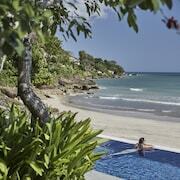 Great access to the beach, chilled feel and great staff. 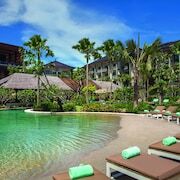 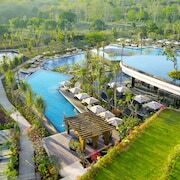 Couples looking to get away will find a romantic atmosphere in Jimbaran, and visitors give high marks for the beaches, seafood restaurants and relaxing spas. 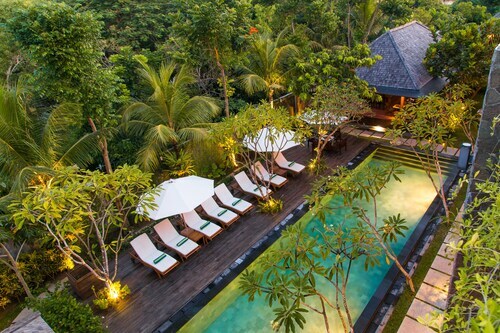 Tourists can also enjoy the city's safari tours and temples. 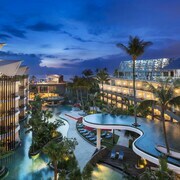 Top sights around the area include Kuta Beach, Tanah Lot and Tuban Beach.